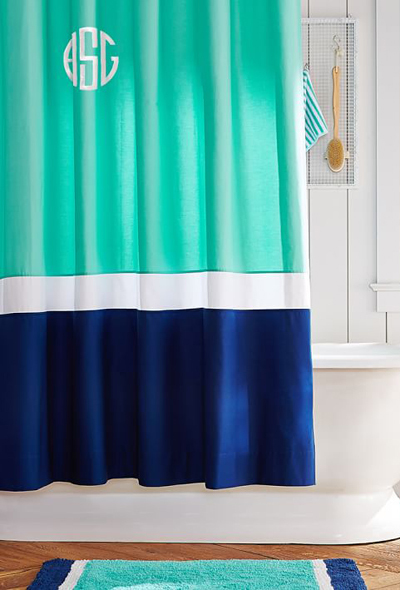 This colorful and chic Color Block Shower Curtain boasts bold colorblocking and sturdy construction to give your bath outspoken style. $59. Buy here.